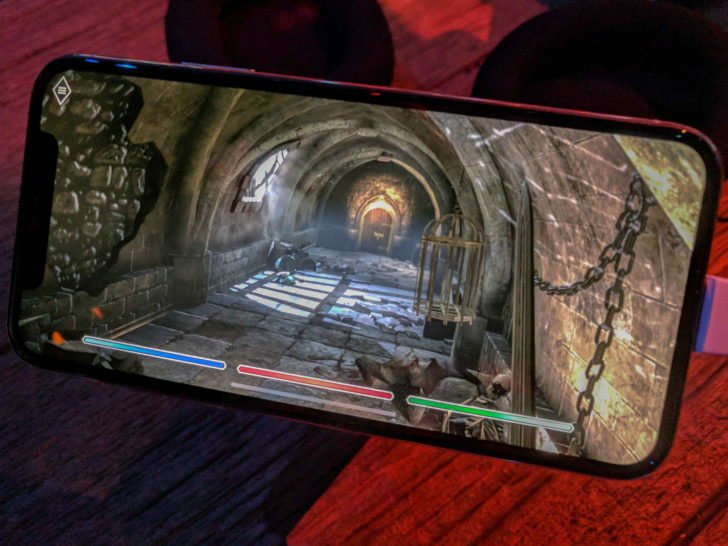 The yearly E3 expo is always a major event for video games, but smartphone games are rarely showcased. Even Fortnite, one of the most popular smartphone games in existence at the moment, only had playable demos of the home console versions. 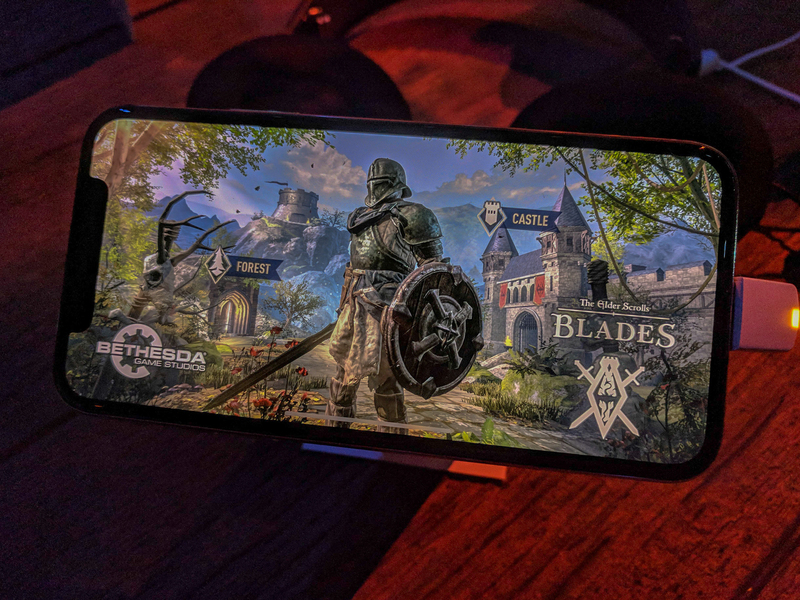 Earlier this week, Bethesda announced The Elder Scrolls: Blades for iPhone and Android, and it showed off the game to E3 attendees. The Elder Scrolls: Blades had its own section in the Bethesda booth. 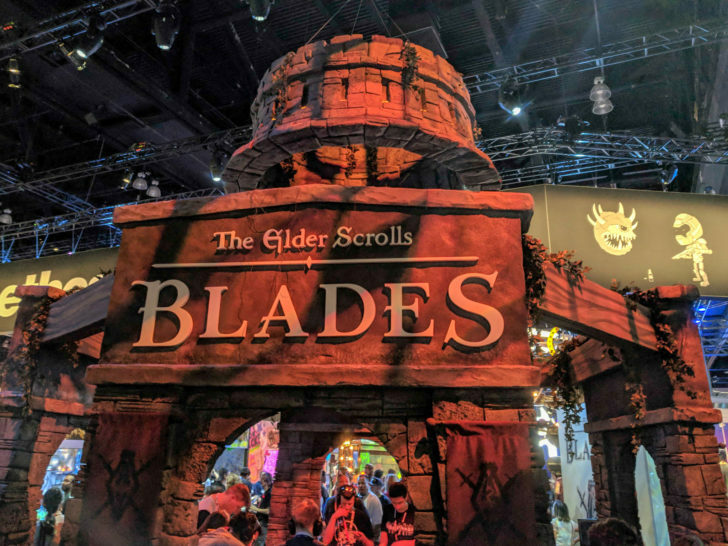 The game doesn't have a release date at the moment, and the demo version at E3 is clearly a very early build. Most of the exciting aspects from the announcement, like the multi-player Arena and 'Town' story mode, are not present. Attendees could only try out the dungeon crawler mode, which has been split into 'Forest' and 'Castle' for this demo version. The controls are relatively simple. When you approach an enemy, you have to hold down on the screen to make a circle appear. Lifting your finger when the circle is completely full deals the most damage. To move around, you can either use a virtual joystick, or tap on the ground where you want to move. You can also press on objects to interact with them, like tapping a pot to break it and collect the treasure that falls out. Because the controls are so simple, it didn't feel very engaging. Walk up to an enemy, tap a few times, move on to the next one, and repeat. Perhaps there will be more of a challenge as you progress farther in levels. There is an added level of complexity with the shield; enemy attacks are relatively quick, so you don't have long to block them. There are three bars at the bottom of the screen, with the middle health bar being the most important. I'm assuming the other bars are for Magika and Stamina, based on the UI of other Elder Scrolls games. The menu opens your inventory, with tabs for potions and "Misc" (neither were functional at this point). 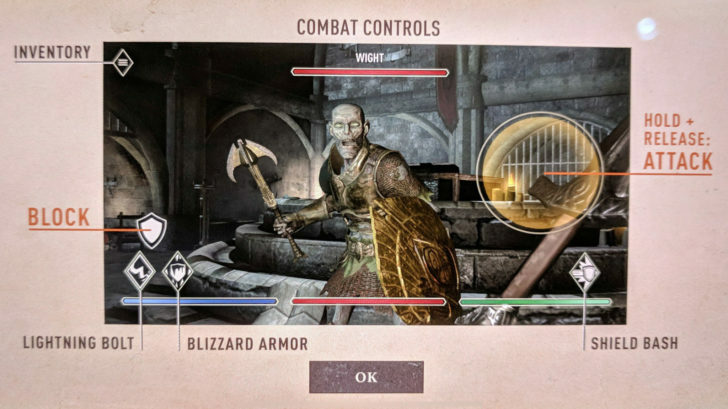 Bethesda mentioned during the announcement that the dungeon maps are a mix of hand-crafted levels and procedurally-generated layouts. The forest levels weren't very exciting, but the castle ones looked decent. You won't be spending much time in each room anyways, since there's nothing to do besides hacking and slashing. I'd love to see Bethesda flesh out the levels to include collectibles and other resources, beyond just picking up gold. The graphics seemed roughly equivalent to a PS3 or Xbox 360 title, and the FPS seemed to max out at 30 (with drops during combat). That's certainly not great, but I'm sure the performance will improve as development continues. 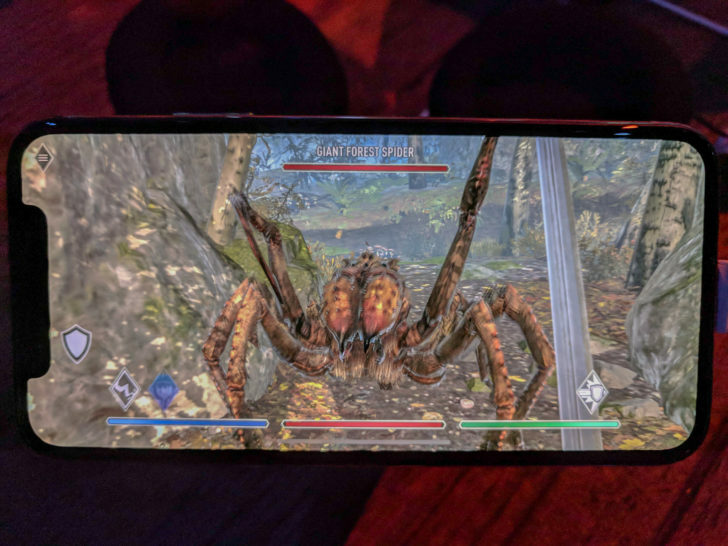 Hopefully Bethesda can get the game running at a smooth 60FPS, at least on flagship devices. In summary, it's difficult to tell if the final game will be worth your time. 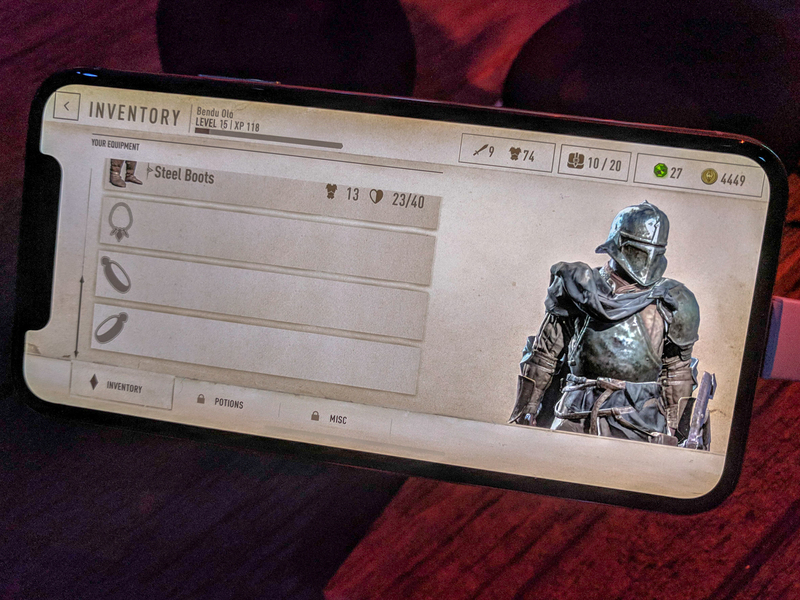 Most of The Elder Scrolls: Blades, specifically the multiplayer arena and story/town-building mode, is missing in this early build. Combat is incredibly basic at the moment, but in the final game, I'm assuming it becomes more difficult as you level up. There's a lot of potential here - let's hope Bethesda delivers.